Stephen King’s novels have always been a good source for filmmakers to use to scare the heebeegeebees out of us all. With the massive success of It in 2017 (It Chapter 2 hits screens in September), it seems time for a re-evaluation of his work with new adaptations. 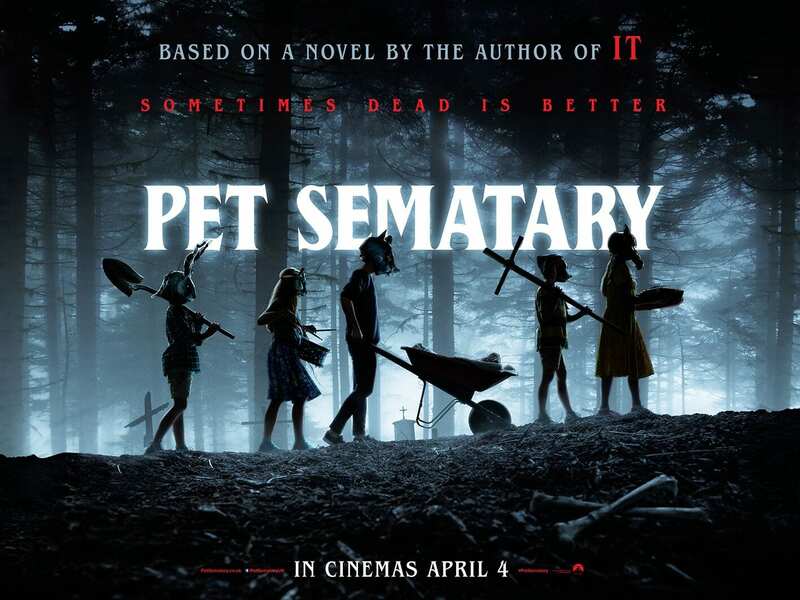 Pet Sematary was first made back in 1989 so will this reboot of one of King’s darkest book have the same effect as Pennywise The Clown? Louis Creed is a doctor who decides to move his young family to a rural home with vast woodlands. Hidden in this land is a Pet Sematary, where the locals bury their beloved animals. When the Creed’s cat, Church, is hit by a truck, Louis is advised by a neighbour, Jud, to bury the cat beyond the Sematary. When telling their child, Ellie, that Church has run away, they become shocked when Church is very much alive but changed for the worst. The original film was a scary affair that was far from perfect. This time around, the focus shifts to concentrate on the family unit, just as King’s book does. Fans of the novel will see a considerable change in the narrative which works on a level of meat and potato horrors but may frustrate the die-hard King lovers. Starting off with an ambiguous opening in which the camera swoops over woodlands where a house is burning, and a path of blood leads to a front door, the interest is immediately grabbed. We then get to meet the Creed family: Louis, Rachael, their two children Ellie and Gage, along with their cat, Church. Moving from the city so Louis can take residence as a high school doctor allowing time to spend time with his young family, we are given time to get acquainted with their lives, including Rachael’s hang-ups about her sister who had died when she was young. While learning about the family, we get to be familiar to the environment, as a group of children, masked and marching in a line, are pushing a wheelbarrow with a dead pet lying inside. Elderly neighbour Jed tells of the story about the pet sematary and what happens beyond the wall. This is where the film starts to enter into the creepy zone. With an accident at school where a boy dies in Louis’s care, the doctor begins seeing visions of the dead man while Rachael is having nightmares about life with her sister. As horror films go, it’s perfectly fine with a few decent jump scares but that’s about it. Where It scored highly was that it mixed 80’s children adventure with dollops of horrifying terror. This film doesn’t have the depth, and while the time spent with the main protagonists is vital to get any form of emotional connection, it fails to deliver in the horror. The return of Church should be strange and deeply disturbing, but it just feels that the directors are afraid to take it any further than a 15 rated movie. King was always worried that the book was far too dark. This isn’t dark enough. The performances are fine, with Jason Clarke and Amy Seimetz as Louis and Rachael are both solid. As Jed, John Lithgow is always good value and young Jete Laurence does excellent work as Ellie. 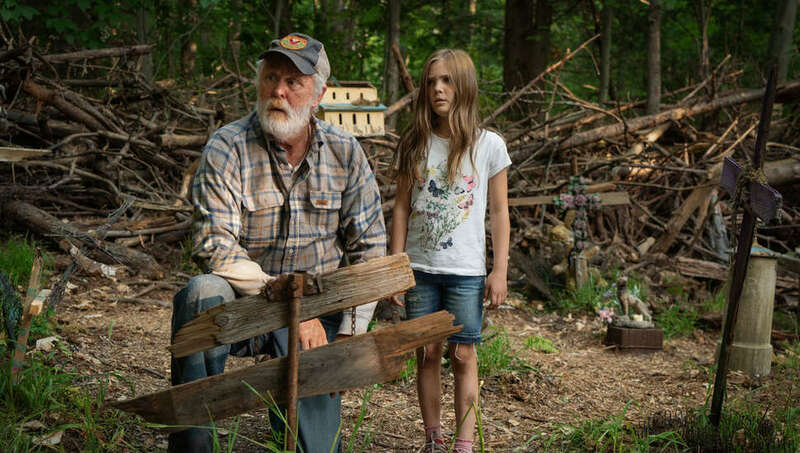 Pet Sematary had a lot of buzz about it before its release, but you can’t feel anything but slightly disappointing. Those wanting the same level shocks as It will find this a little flat and while it’s all done well, with terrific cinematography from Laurie Rose, it lacks the real punch you’d hope for. Not terrible but tamer than you’d want.